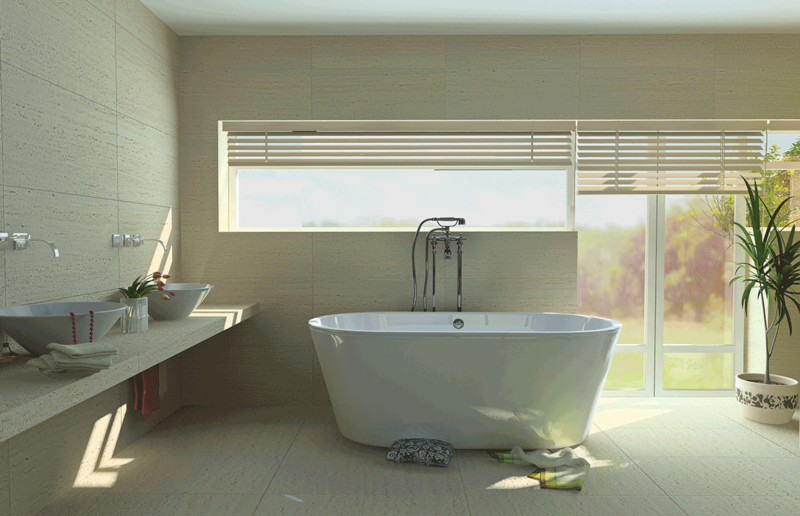 Underfloor heating is now an important feature of every bathroom. For a surprisingly low price you too can have luxury undertile heating in your bathroom. For bathrooms we recommend that you install our underfloor heating loose cable kits. These are designed to be easily installed in small or awkward areas. Underfloor heating for bathrooms is usually a secondary form of heating. Our HQ heating makes sure your tiles will be luxuriously warm. The heating will also support your existing heating. In bathrooms the thermostat is normally installed just outside the bathroom. The floor sensor (included) makes sure the tiles are exactly the right temperature for you. The thermostat allows you to program exactly when you need the heat to come on and off. For more information on our touchscreen stat watch this clip. Our Warmtoes underfloor heating wires are IPX7 rated. This means they can be safely installed in wet rooms. When measuring make sure you only calculate the free walking area of the room. 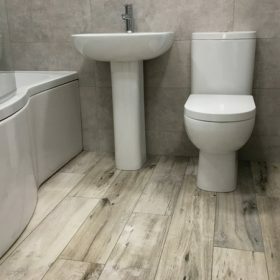 Underfloor heating does not go under the bath or toilet. Leave a 10cm border and calculate the m2 of the area pick the correct sized kit. 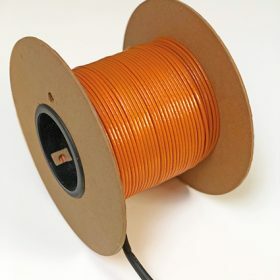 Loose wire kits can by moving the cables closer become more powerful per m2. 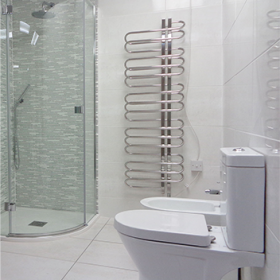 Case study: We installed seven bathroom kits in a prestigious property in North London. The client was having limestone tiles and wanted 200 watt mats for maximum heat. The result was amazing and the property director now recommends us for every project. To get the correct advice call us. We can also help with the installation.